Webb: went from $8M to $210M in eight years. Nauticus: created national recognition; went from red to black. Cavalier Construction: set immediate startup distinction. Star Robbins: rose to 2nd largest producer in USA. ColonialWebb: grew to largest HVAC contractor in VA.
Macsons Demolition: captured majority market share in its region. Linxx: became top martial arts school in the area. Mr. Go-Glass: grew from 3 to 8 stores in five years. Networking Group: doubled its participants in a year. Ondrea Bonvechio: created instant designer status. Bon Secours Eric Rose Heart Center: gained brand prestige. iFeel: created new concept in brand pairing. Pallett Oil: secured critical change in brand perception. Logo designs and everything they go on. Create quantum growth from visionary branding. Tap a MINT logo anywhere in this site to learn more about that aspect of our service. With branding, Webb Technologies went from $8,000,000 to $210,000,000 in eight years. How'd they do that? Mint Design provided intense branding matched in Webb by true performance. By creative materials design, the sign above saved $17,000.00 off the cost of conventional sign fabrication. Control perception with visually effective graphics. Graphic design dramatizes a point. Town Point Executive Network captures its member identification by depicting their weekly goal: that is, touching one point a week to increase market share. Mint Design created this graphic for social media identity. Attract new customers with real involvement. It's one thing to make an exhibit "interactive," it's quite another to get people involved. This shark cage exhibit uses interest elements to get involvement. At a quarter of the cost, this Mint Design exhibit is still a visitor favorite, showing the actual size of a great white from inside the cage! Prove the idea first, then protect and market it. Something the world has never seen before may answer to need, and appearance, but it must also answer to cost. 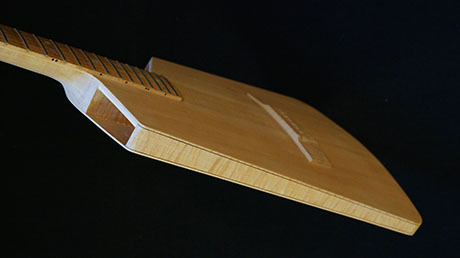 What if you could improve the structure of an acoustic guitar, and still make it in one day? Mint Design solved the problem with this guitar design. © COPYRIGHT, MINT DESIGN, 2015, ART, DESIGN, AND PHOTOGRAPHY ON THIS SITE IS ORIGINAL AND MAY NOT BE REPRODUCED IN ANY FORM. ® MINT DESIGN IS AN ACTIVE TRADEMARK, SINCE 1993, AND IS REGISTERED WITH THE USPTO. ALL RIGHTS RESERVED.